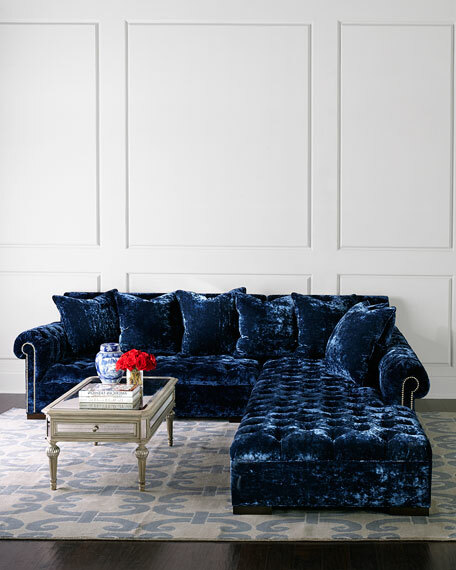 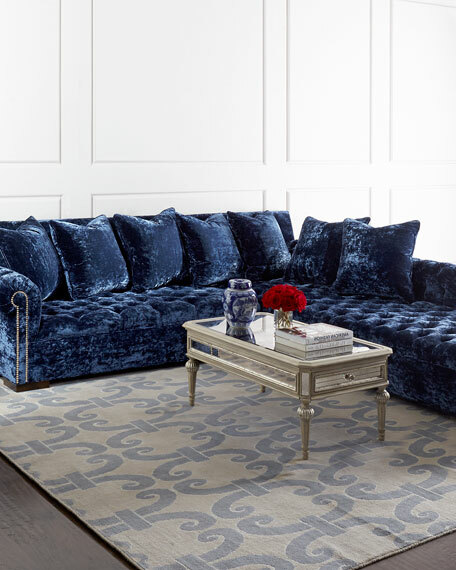 Haute House Divine Crushed Velvet Right Chaise Sectional 119"
Haute HouseDivine Crushed Velvet Right Chaise Sectional 119"
Comes with seven self-fabric pillows. 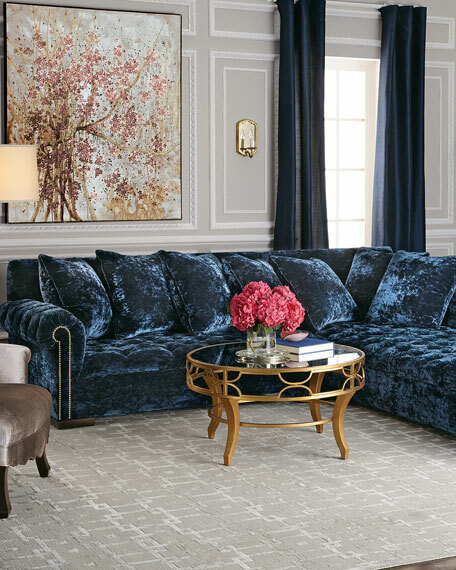 Chaise on right as you face sofa; left-chaise sectional shown for color and style. 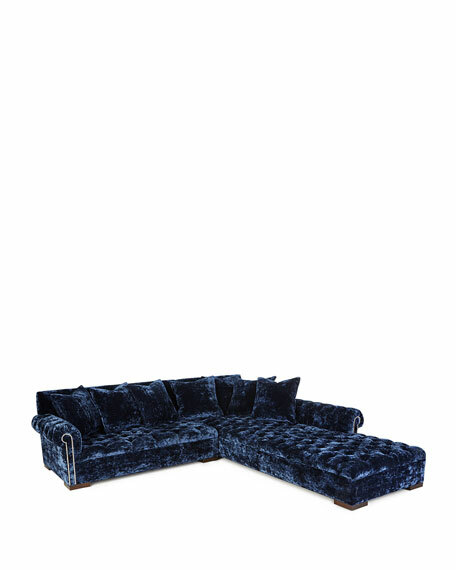 Sofa, 119"W x 41"D x 35"T; chaise, 96"L; seat, 19.5"T.
Boxed weight, approximately 415 lbs.